Last year I read a book called Essentialism and it was one of my favorite reads of the year. You might remember it from my list of 10 Best Books I Read in 2015. I have chronic trouble with making decisions and this book brought things into Claritin-like focus for me. 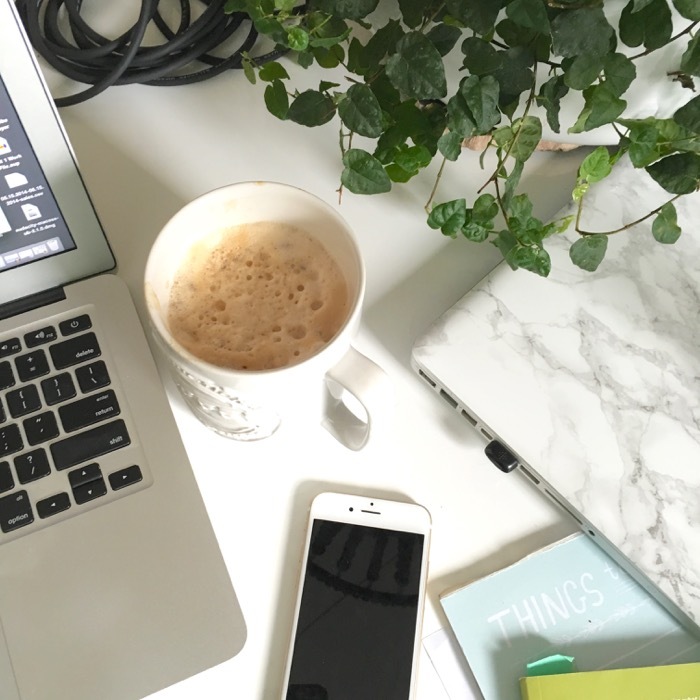 What Soul Keeping by John Ortberg did for my inner life, Essentialism by Greg McKeown did for my outer life – my calendar, commitments, and work-flow objectives. I don’t know if it just came at the right time or caught me in a perfect magic storm of fatigue, purpose, and motivation, but the book helped me understand and decide what is essential and what is not. As a result, I’ve said no to a lot of things this year. The more I say no, the easier no becomes. And a stronger no leads to a more obvious yes. Several months ago, I received an email from Claire Diaz-Ortiz asking me if I could spare 60-minutes for a Skype interview with her. By itself, that would be something easy for me to say no to. But it was what she said about the interview that made it an absolute yes for me. Her ask was for me to take part in a “big, fun, virtual summit” in honor of the launch of her course and I was immediately in. I’m learning the language of my own yeses, and they tend to speak with excitement, not dread. “I’ve basically been saying no to almost every request I get these days as I have been practicing the spiritual discipline of listening to my life (thank you, Parker Palmer) and paying attention to what makes me come most fully alive. But your description of this has me all woohoo! Which tells me yes, yes I would love to do the Skype interview, absolutely. I literally cut and pasted my response so forgive my weird English. I’m telling you all of this because the next thing that happened is that Claire is all oh yeah, Greg McKeown is my mentor and Essentialism was my favorite book of 2015 too and I’ve been learning from him in person for the past year (that’s my paraphrase) and I’m all OF COURSE YOU HAVE. So basically one of my favorite reads of 2015 influenced Claire and inspired her to create something essential of her own. When she asked me to be part of it, the yes was easy. As it turns out, I’m not the only one who thought so. There’s a lot more (as in 35 more) but you get the idea. Today you can sign up to get access to over 50 conversations Claire had about purpose, productivity, and profitability in our work and lives – and it’s free for a limited time. I personally can’t wait to hear what these smart, innovative people have to say about their work and I thought some of you would like to as well. My interview with Claire will be live at 8 pm Wednesday May 18. Simply sign up here for access to the Work By Design Summit during May 17 – 25. Here’s to finding our brave yes and our strong no in our work and in our lives. I hope this free summit helps you with that. This looks totally awesome. And I saw Propaganda on the list of participants — just heard him on The Liturgists podcast and he blew me away. I’ll be listening to his session for sure (along with yours!). Thanks for the head’s up on this, Emily. 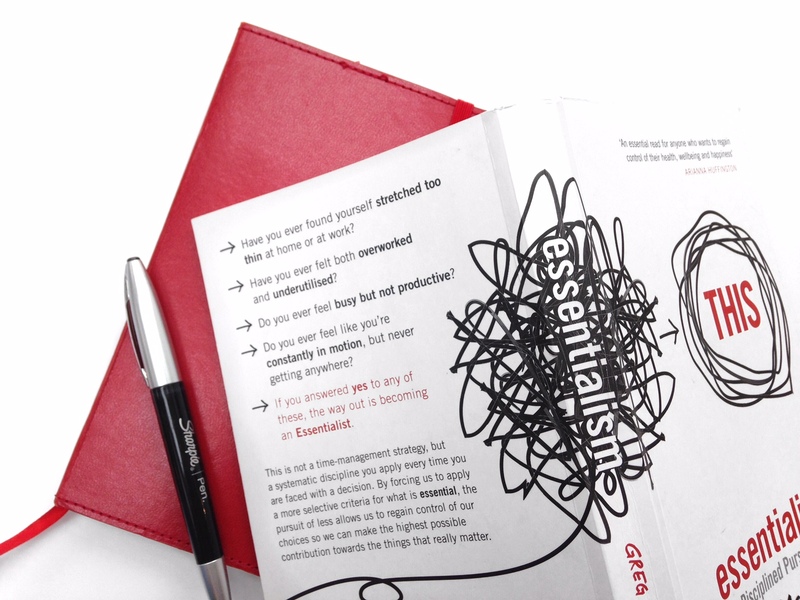 BTW, just read Essentialism a couple of months ago, and it CHANGED the way I do work. I have a new focus – a new “essential intent.” I am all essentialist now. Great book. Thanks so much for sharing on the Work by Design Summit, Emily. Your interview was one of my ABSOLUTE FAVES. I’m really looking forward to this summit. Essentialism was one of my favorite books last year too, but I still feel like I have a lot to learn to truly let go of my busyness and be a true essentialist. 🙂 The list of “speakers” is very impressive too!